UFO SIGHTINGS DAILY: Are you or somebody you know an Indigo? A person with hidden powers. Dec 2016, Video, UFO Sighting News. Are you or somebody you know an Indigo? A person with hidden powers. Dec 2016, Video, UFO Sighting News. Here is something I though important, yet is not discussed much here. 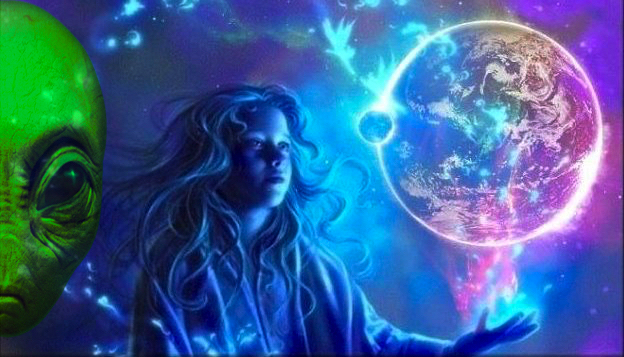 Indigo children...those born with special abilities, powers that were given to them from alien overseers who help, without the individuals knowledge of it happening. Here is a list below that will help you find out if you or someone you know is an Indigo. There are everywhere, even here in Taiwan. I knew one for years, before she revealed to me that she sees ghosts daily walking about. Kind hearted person who was a teacher. Most of us have met one at one point or other, but they often hide their special abilities when in public places. CNN states: Whether they are called the "Disciple Generation" by Christians, or "Indigo Kids" by New Age followers, or Millenials by demographers children born after 1978 are said to be different. They are empathetic, curious, strong-willed, independent, and often perceived by friends and family as being weird. They possess a clear sense of self-definition and purpose and also exhibit a strong inclination towards spiritual matters from early childhood. These children have also been described as having a strong feeling of entitlement. These children have a high intelligence quotient, an inherent intuitive ability, and a resistance to authority. Indigo children function poorly in conventional schools due to their rejection of authority, being conceptually smarter than their teachers. They are non-responsive to authoritarian, guilt/fear/manipulation based discipline. Many of these children labeled or diagnosed as having ADHD. They are avoiding or leaving the modern Church model in droves as they find deep spirituality in the gifts God has given them.